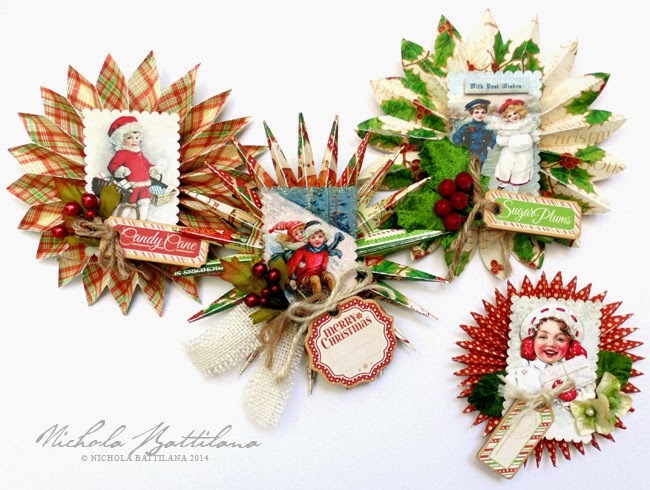 I've created this little set of doo-dads with Graphic 45's Twas the Night Before Christmas and Petaloo's "Victorian Children" Vintage Dazzlers. They would look adorable with a bit of string as ornaments, but I will be using these to embellish my holiday gift wrap. Making these was oh so simple too! Simply cut narrow lengths of paper and acordian fold them. 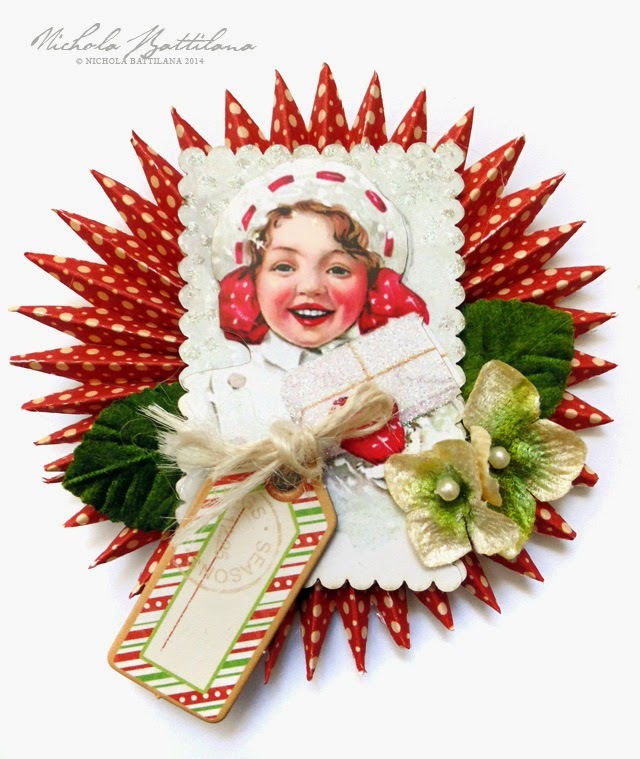 Fan them out to create the round shape, using hot glue to hold in place. 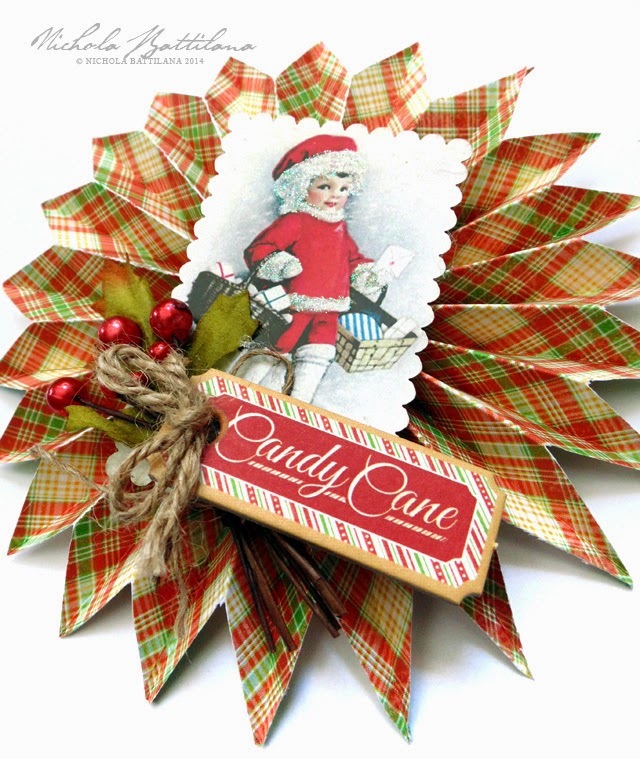 For the 'star' effect I simply clipped a folded corner on an angle... as you would a paper snowflake. 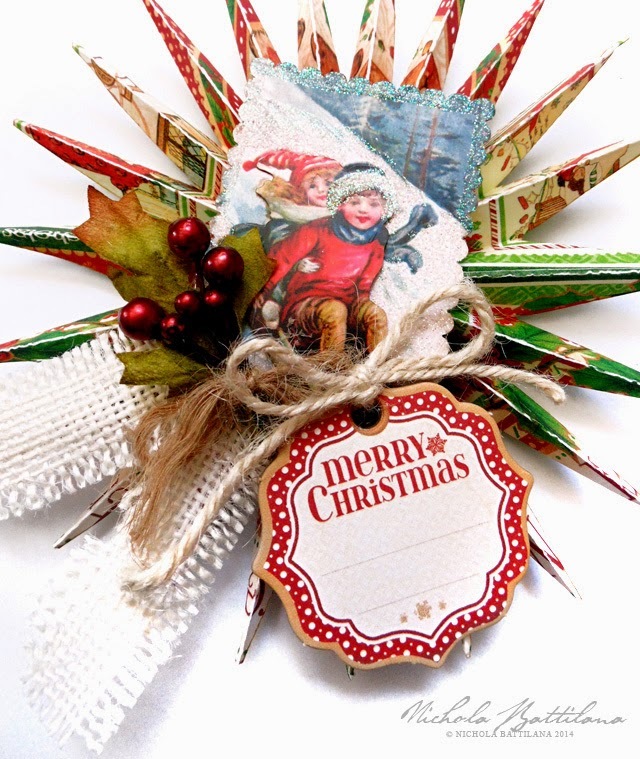 A Graphic 45 tag, a Botanica Berry cluster and a Burlap Trim bow and it's ready to gussy up a gift! While it's fun to add a bazillion blooms to projects, sometimes just one or two little flowers is all you need. Beautiful work!! I hope this is the correct place to post on Petaloo's blog, as I'm new and couldn't find anywhere to post. Thank you so much for sharing!! Wow! Love these! You are so talented! Are these cut from a die? Or free hand?